Corpus Christi Texas Travel Video – Filmed with Sony a7iii – Mavic 2 Pro | Corpus Christi Rocks! Spent a couple of days on the Texas coast and brought along the Sony a7iii for video and the a7riii to do some long exposure photography. Lens used for most everything was the 16-35 G Master. Gimbal footage was with the Zhiyun Crane Plus paired with the Sony 28mm f2. Shot in picture profile 7, SLog2. Corpus Christi Texas State Aquarium | Corpus Christi Rocks! The Texas State Aquarium is a nonprofit aquarium located in Corpus Christi, Texas, United States.It is dedicated to promoting environmental conservation and rehabilitation of the wildlife of the Gulf of Mexico.It has been accredited by the Association of Zoos and Aquariums (AZA) since 1995. Travel videos from the area of Corpus Christi, Texas. 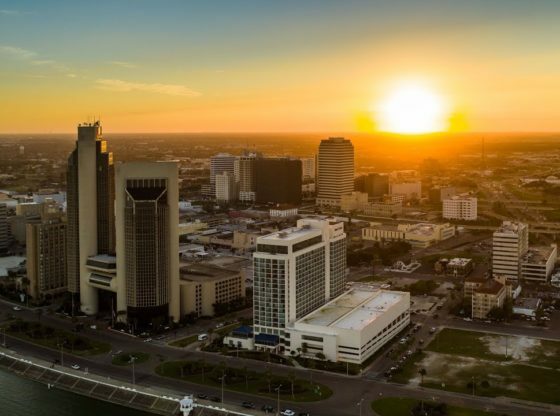 View travel videos or search for a tourism video you want to see from across Corpus Christi, Texas. Sony's a6400 combines a proven 24MP APS-C sensor, a new 'Bionz X' processor, and one of the best autofocus implementations we've yet seen - all in a compact, affordable camera body.